Rewards your kids with branded attire! : BUSHA LEGGING PP PANTS. REDUCE PRICE!! Hi all! Welcome to my online selling blogspot! 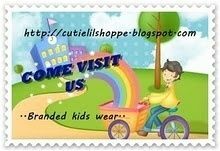 wholesale is applicable for almost of the items and it's most welcome! enjoying yourself viewing all the kids stuff and just let me know anything u want to know..
All sold item(s) are not refundable and returnable. Reservations only can be made for max 5 days, if no payment has been made, that order will be released to other customer. Please be serious in placing order!! MIA customer will not be entertained. No negotiation is allowed. We already put the best price for all our items. All prices are not included with postage charges, unless stated so. We are not responsible for any missing item, broken or damage during delivery . 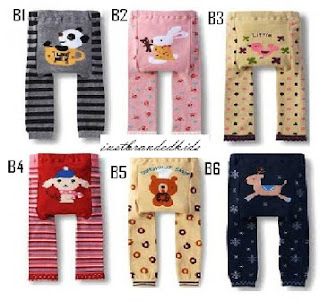 BUSHA LEGGING PP PANTS. REDUCE PRICE!! How can ı order and make payments?? Can I buy piece by piece. untuk baby yang usia 4 bulan boleh pakai tak? mcm mana kita nak tau saiz nyer??? mommy of two cheeky boys. part time online selling business. but i try to give 100% commitment on this. as my interest is more towards business right now! u can choose n pick any item(s) that has same price. No matter what item u pick. as long as the price is same and u fulfill the wholesale quantity, so YOU'RE ENTITTLED FOR WHOLESALE PRICE! You can fill up order form [located at the bottom of the page]. i will reply your sms a.s.a.p (if i can) and your email within 24hours for confirmation of the availability of the items. once agreed between you and me, please make payment and acknowlegde me thru sms. once confirm, i will deliver all the items!! RM50/SET................. RM144 FOR 3 SETS (RM48/SET).................. RM230 FOR 5SETS (RM46/SET).................... RM410FOR 10 SETS (RM41/SET) ONLY!!!! Aqisbabywear ~ Your Little One's Boutique..
TQ to all of you!! !